BADAL BHOI AADIWASI JAN UTTHAN SANSTHA is located in Chhindwara Madhya Pradesh . BADAL BHOI AADIWASI JAN UTTHAN SANSTHA is registered as a Society at Jabalpur of state Madhya Pradesh with Ngo unique registration ID 'MP/2009/0005141' . 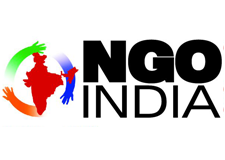 The NGO registration is done by Registrar of Societies with registration number 04/17/03/07663/04 on the date of 21-07-2004, Its parent ORganaisation is PaulFoundation. The Chairman of BADAL BHOI AADIWASI JAN UTTHAN SANSTHA is K L Uikey and Chief functionary officer is K L Uikey.